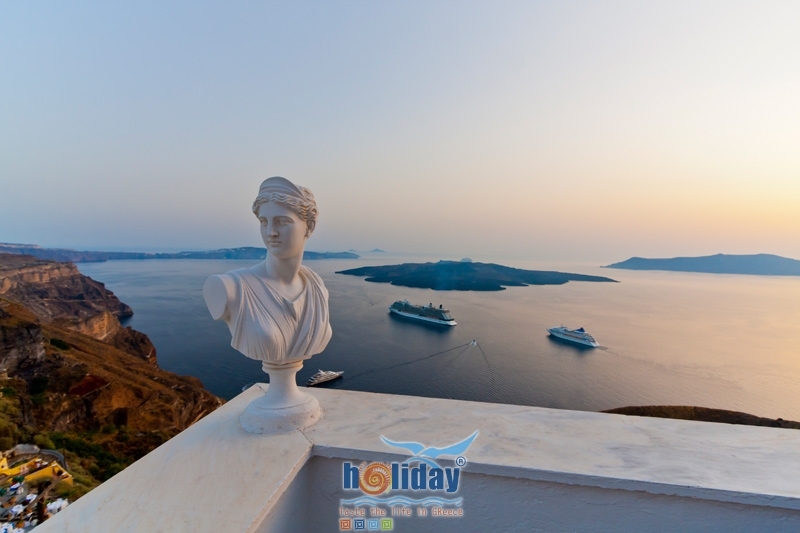 Kastro Traditional Hotel-Apartments is a brand-new hotel-apartment complex built right in the Caldera at an altitude of 300m above the sea level, opposite the cable car in Fira. With 7 apartments than can accommodate 2 to 7 people the facilities include: Cafeteria, Daily Maid Service, and a welcome drink upon your arrival. 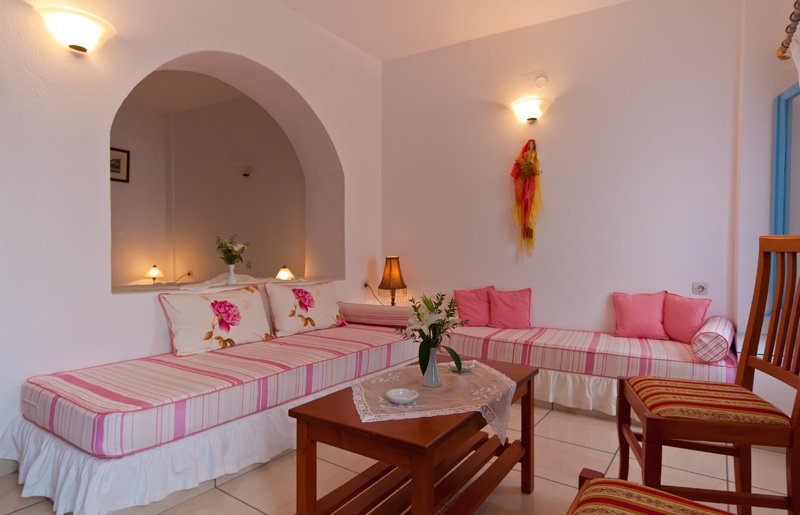 Some apartments have jacuzzi, all have private baths and are tastefully decorated in traditional style. Kastro Room facilities include: A/C, Satellite TV, Music, Direct Dial Telephone, Direct Internet Access, Mini Fridge, Hairdryer, Safe Box, Bathroom with Jacuzzi, and Terrace or Veranda. The Kastro Cafeteria is one of the most famous cafes in Santorini with a terrific view of the caldera and the sea.